We say it every day: “Our company is our technicians.” That’s why the members of our team are chosen for their experience, training, courtesy, efficiency and even smiles. We challenge our team to provide the highest quality appliance repair service with the maximum competency available. With decades of experience among our technicians, there’s virtually no appliance problem we haven’t seen and fixed. We know that having your appliance repaired quickly and accurately is important to you, so it’s important to us. That’s where our appliance repair warranty comes in. Looking for Award-Winning Service? We've Got You Covered. There’s a big difference between saying you’re the best and proving you’re the best. Thankfully, you don’t need to take our word for it! With decades of experience repair appliances under our belts, our knowledge and expertise are unmatched. 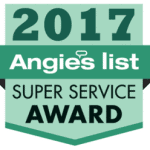 And as multiple-time winners of the Angie’s List Super Service Award, we’ve distinguished ourselves as the area’s undisputed leader in appliance repair service. Our company’s primary focus has always been on achieving the highest level of technical expertise through continual training and education. Our appliance technicians stay up-to-date on the latest appliance technology from all leading brands. Also, as members of the United Servicers Association, we have access to special training materials and support from the industry that other servicers simply cannot provide. At D&T Appliance Service Company, we want all of our customers to be confident in their choice of hiring us for their appliance repair service. That’s why we’re proud to the only nationally certified appliance service center in the Twin Cities area! And as members of the Certified Service Center group, we’re able to provide first-class service by sharing methods and best practices with other national leaders in the industry. No other local company can match what we offer! wide range of appliance types. Reliable appliance repair starts with knowledgeable people and their readiness to service your appliances when they arrive. We strive to completely repair any appliance on the first service call, saving you time, making you happier. We carry thousands of parts in our appliance repair trucks. This allows us to repair the problem in as little as one visit a majority of the time. We constantly train our team and keep them up-to-date with the latest in appliance repair industry knowledge. We participate in industry conferences and associations and remain knowledgeable for you. More than money-back guarantees, our reliable technicians are the main soldiers of your 100% satisfaction. We are the only Nationally Certified Service Center in the Twin Cities and are a proud member of the United Servicers Association. Our service has also earned us the Angie’s List Super Service Award 11 times! Want more? No problem. Our team is trained to look for and spot other potential problems that might creep up. We perform a preventative maintenance check on the spot while we fix your appliances. But don’t just take our word for it! Read our D&T Appliance Repair reviews.